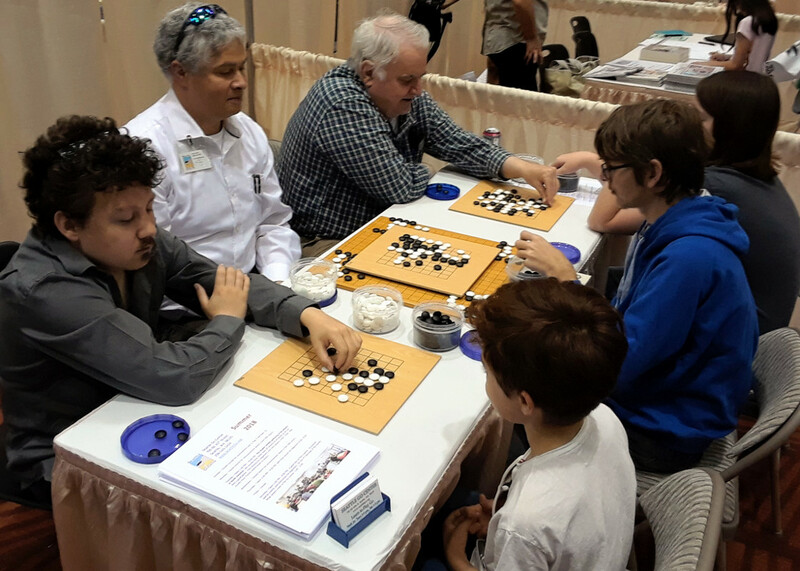 Seattle Go Center had volunteers introducing the game of Go at Japan Fair 2018 in Bellevue, Saturday July 7 and Sunday July 8. We saw old friends and made new ones, and saw many exhibits about Japanese culture. 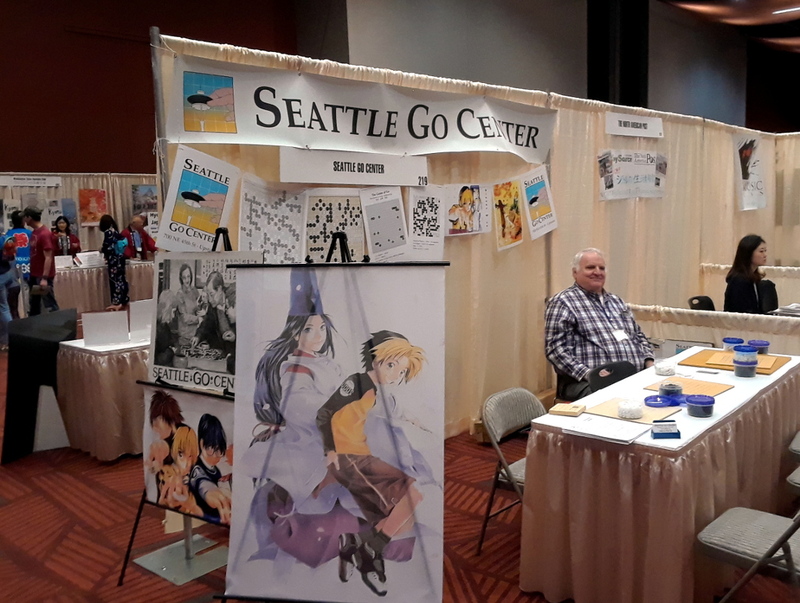 Saturday, we got the booth set up, using some Hikaru no Go posters and hangings that continue to attract attention. 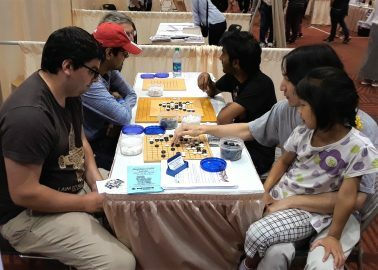 The kids who enjoyed Hikaru when it was new, now are adults with children of their own, curious about Go. Sunday seemed even busier than Saturday. Frank Fukuda sat with us and taught for a while, and Connie Hayashi brought some friends. 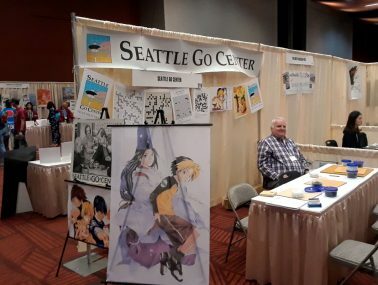 Some people mentioned that they know about the Go Center, and wish they had more time to come play. 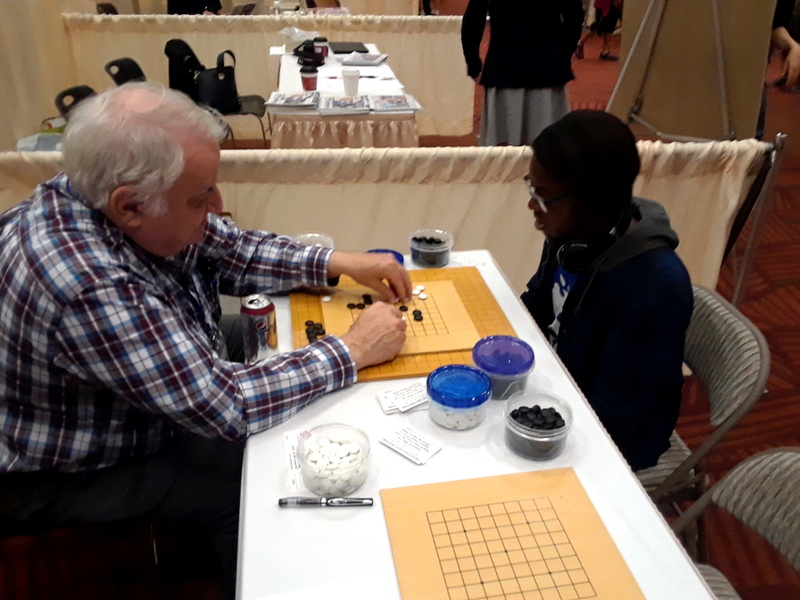 Others were surprised to learn the Go Center exists. Hopefully, they will come visit soon!